Articles are always easier to construct than titles. Finding the right title for your post is the most important task with which you begin your blog posts. It is also the most time taking. This is because it is difficult to come up with catchy, crunchy and optimized titles for your posts every time. Sure for the first few months you will be able foster numerous titles. But even genius has its limits. Not to worry though as more and more content marketing firms and influencers are coming up with tools and software which actually assist you with blog titles. They help you in many ways. Once you have an idea on what you wish to write about you can use these tools to find the right titles for thse kind of posts. You just need a few keywords related to the subject and the rest will be taken care off. I was going through numerous tools and using them. 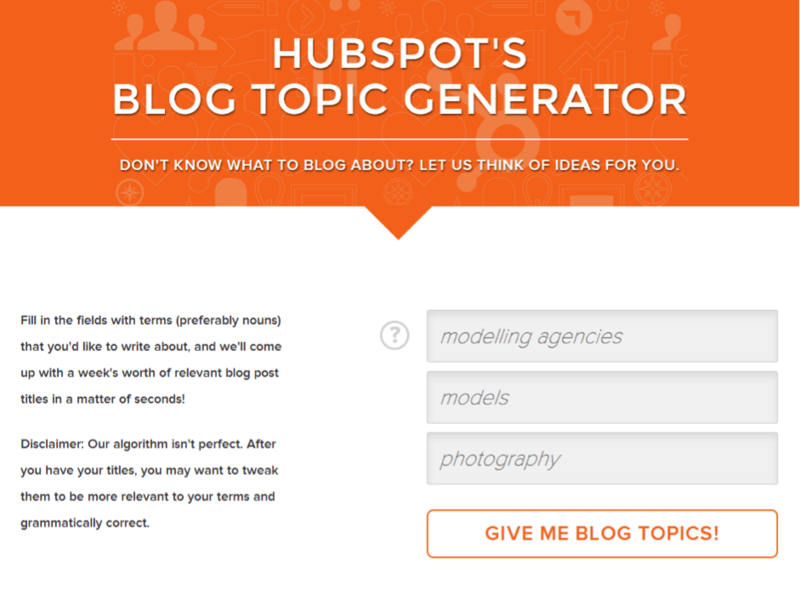 After reviewing them all, I have narrowed down my list to the 5 best tools for generating blog topic ideas. Buzz sumo can assist you with your entire blog. Its features and tools can allow you to optimize your blog completely and create a website which ranks high on search engines and provides engaging content. The interface is simple. 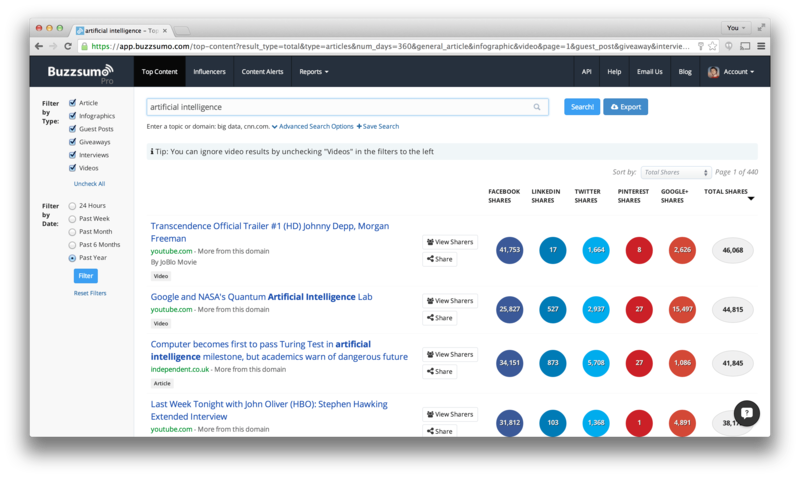 You enter the keywords related to your subject and hit search. All the posts related to your keywords will be enumerated along with the number of shares and likes on various social networks. This will give you an excellent idea of topics which are trending. You can neatly tap into the interests of your readers and come up with posts which people like. You will also reveive great insight on the kind of titles people are attracted to. 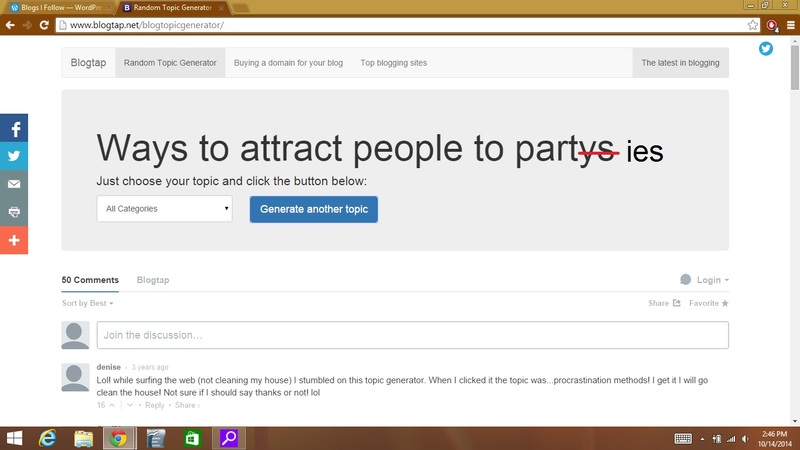 This one is certainly one of the best tools for generating blog topic ideas. Hubspot is a top blog when it comes to social media and digital marketing. If it provides a tool for title generation then one should take that seriously. Enter the keywords in the search and lo, you will have a long list of blog titles to go with them. If you are suffering writers block, then it will also generate random ideas for you to write. It is certainly one of the best tools for generating blog topic ideas if you are absolutely stuck. One thing is for sure; I love its interface. It has a simple fading black background with a search engine where you can just enter the keywords and see the list of prospective and engaging titles coming your way. The whole tool is very simple to use. Once you enter a related word, a unique idea for a post will be generated. If you are satisfied then okay or else you can hit refresh and another idea will pop up. Cool isn’t it? Tweak your biz is a known business blog which has quite a lot of traffic volumes. 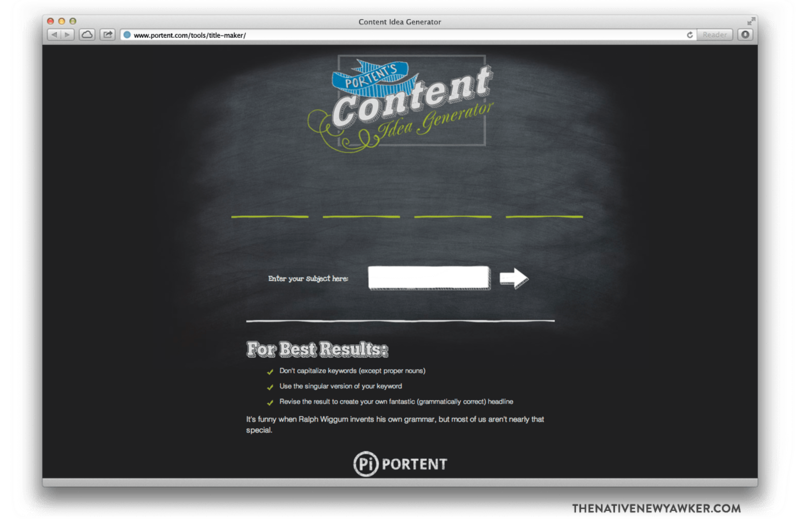 It’s title generator is one the nest tools for blog topic generation you will find out there. Enter the keywords and you will see a wide variety of titles enlisted. The plus side is that it breaks down these titles into categories like How to, Solutions, Problems, Motivational etc. This is remarkable as it simplifies your thinking further and makes you clearer about how to proceed with your idea. This is another great tool for those who are under the attack of writers block or are having difficulty in deciding what to write about. It has a drop down category list from which you can choose classes like music, opinion, health etc. and then it will generate a random blog topic. If you are not satisfied with it you can refresh and get one more. I hope you like these 5 Best Tools for Generating Blog Topic Ideas, do you want to share more tools, please share it in comments below. I usually stuck in this stage of blogging. In fact it happens with most of the bloggers. Choosing the next blog topic seems very difficult as we think about readers choice and engagement. Above 5 tools are great way to next blog post. Thanks man!! Have a nice day. Among above tools, Buzz sumo is best for generating ideas. I love it so much. You can easily find the blog post ideas which are popular on internet. Hey Susheel, I am glad that you liked this post.. Buzz sumo is best for article generation titles. 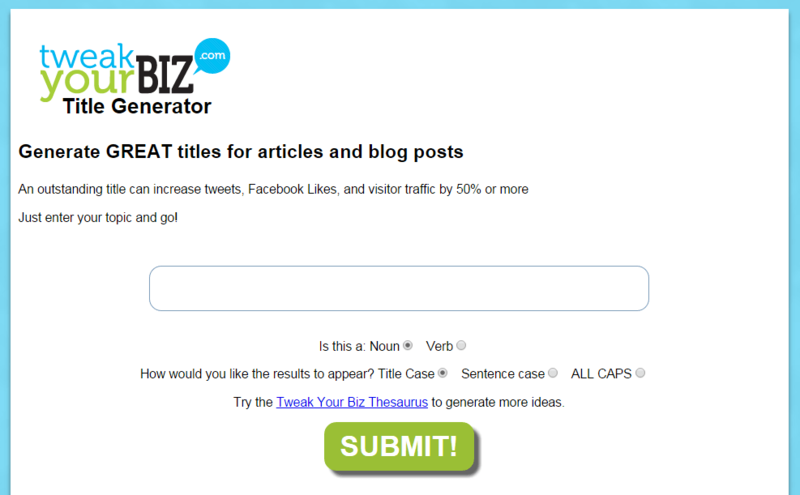 Well explained list of Tools for Generating Blog Topic Ideas. I am currently using “Buzz Sumo” and “Random Topic Generator” to generate post ideas. But from now, i am going to try out rest of three tools too. 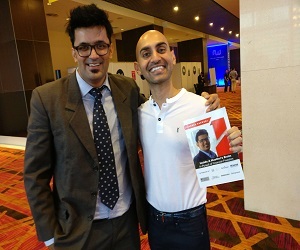 Hey Amit, I am glad that you liked it. I use these tools to generate kickass blog post ideas. Buzz sumo is awesome. Try out other tools I am sure it will help you to get better titles ideas. I was really in need of some inspiration to write something and now using these tools it will be easier for me to think of some topics. Hey babul Happy to help you. These tools are very useful for getting blog pots ideas. Very useful post, buzzsumo is familiar to me but the rest are new. Bookmarking this post!